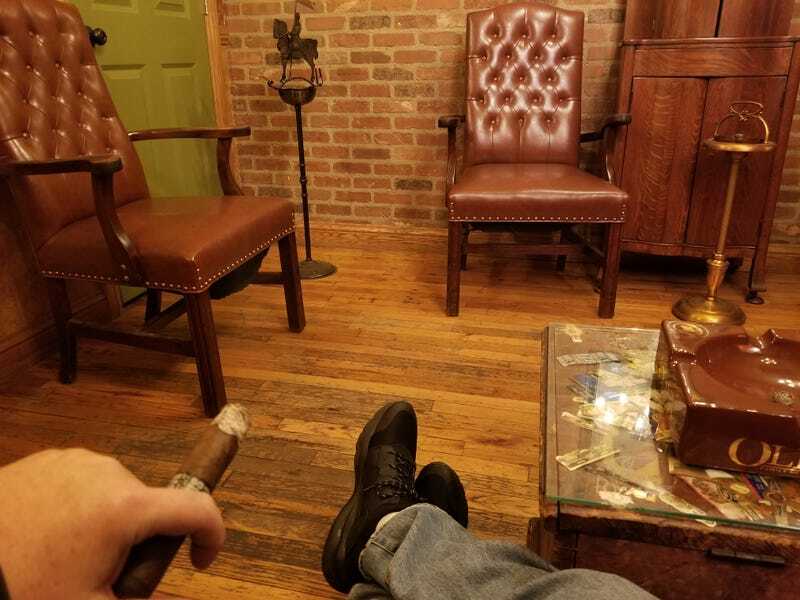 I’m relaxing in an empty cigar lounge, which is my favorite kind. I'm going to go for a drive in the foothills afterward. How's everyone doing?